Shop For A Cause gives you the opportunity to help homeless cats & kittens and get a great shopping discount at Macy’s. Purchase a $5 Shopping Pass for exclusive savings (up to 25% off) in every Macy’s store on Friday, August 26th to Sunday, August 28th, and The Cat Network keeps 100% of the proceeds to help homeless cats & kittens. Plus, you can enter to win a $500 Macy’s Gift Card. Save 25% on regular, sale & clearance items, including home — you’ll even save on most brands usually excluded! Save 10% on electrics/electronics, watches, furniture, mattresses, and rugs/floor coverings. Enter for a chance to win a $500 Macy’s gift card. Find the magic of giving back, as Macy’s celebrates a national weekend of support for our community. The recent decision to remove free-roaming cats from ZooMiami and the surrounding areas, including Larry & Penny Thompson Park, has sparked much controversy. We strongly feel that the Zoo must and should protect their exotic populations; however, the approach that was chosen will not meet this objective and the communication justifying this action is inaccurate, misleading and nothing short of fear mongering. ZooMiami’s “Statement regarding trap, neuter and re-homing (TNR)” starts out with the misuse of the term TNR, which stands for trap, neuter, RETURN. While this may seem insignificant, it is not. The expectation that these (and other) free-roaming cats can simply be rehomed is unrealistic, and misleads people into believing that is a reasonable solution to addressing populations of free-roaming cats. Cats that are friendly and used to interacting with humans may be good candidates for rehoming, but cats that are truly feral are unlikely to adjust to a new location, and require an extended period (2-4 weeks or longer) of confinement to allow them to acclimate to their new home. The single most effective method of protecting the zoo’s animal population would be to create barriers to entrance for all other land species. Surely if the zoo can create barriers to contain large cats, elephants, kangaroos, monkeys and their other species, they could create a barrier to prevent other animals from entering the exhibits. We believe there was a concrete moat that surrounded Zoo Miami when it was built; brush could be cleared and cat fencing could be installed where needed to prevent animals from entering the property. ZooMiami noted there is an “exploding population of feral/free-roaming cats” which begs the question what has caused this dramatic population increase. Community cat caretakers had been humanely managing the population of cats in the park until they were prohibited from doing so by the Parks Department. This change occurred because the Parks adopted a zero tolerance policy regarding cats in the park, yet they did not effectively prevent abandonment of new animals or prevent the population from growing. 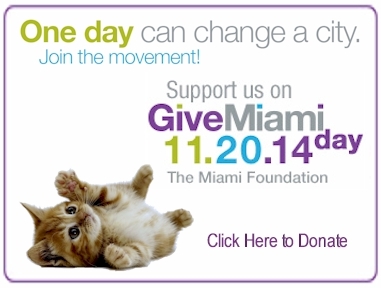 Thirteen of the seventeen cats that were trapped and transferred to Miami Dade Animal Services were unsterilized. It certainly appears that this zero tolerance policy and feeding ban has not worked. 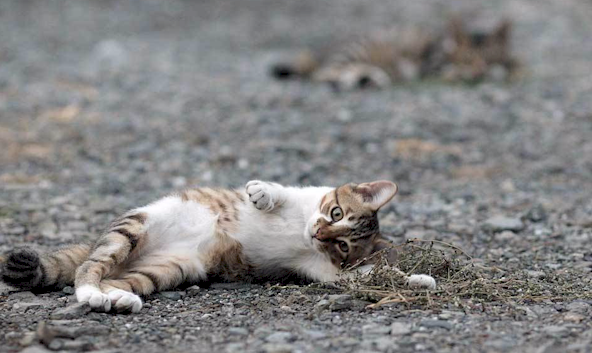 Stating “feral/free-roaming cats may transmit rabies, toxoplasmosis and other parasitic diseases to both humans and wildlife” implies cats are the only risk factors when bats, raccoons and other species can transmit rabies & parasitic diseases. Cats that have been sterilized through TNR efforts are vaccinated against rabies. 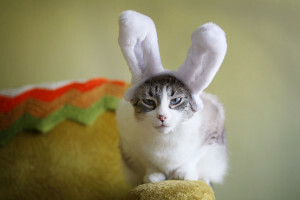 While cats are the only species that sheds toxoplasmosis oocysts in their feces, according to the CDC toxoplasmosis can also be transmitted via raw or undercooked meat as well as improperly washed fruits and vegetables. The Zoo’s assertion that “these cats can carry Feline Immunodeficiency Virus (FIV) and Feline Leukemia…is a serious threat to pet cats being responsibly kept by their owners” was absolutely inaccurate and nothing short of fear mongering. FIV is transmitted through deep bite wounds and Feline Leukemia (FeLV) is primarily transmitted through maternal transmission to kittens, and possibly transmitted through prolonged direct contact exposure. This assertion makes it sound as though people visiting the park or other areas with free-roaming cats could bring the viruses home on their bodies or clothing and infect their pet cats; this is not true. Neither FIV nor FeLV are casually transmitted. 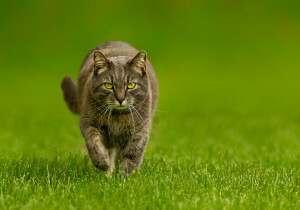 Most disturbing to us is the Zoo’s use of junk science, stating “feral/free-roaming cats are extremely detrimental to native wildlife and are believed to kill on average a million birds a day in the United States and billions of native mammals, birds, reptiles and amphibians on an annual basis.” While cats do hunt, their actual take has not been scientifically determined (scientific reliability would require random samples, not selective self-reporting) and these numbers are wildly speculative and inaccurate. In addition, cats are not the greatest threat to these species, HUMANS are. We have destroyed and dramatically reduced habitat, impacted reproductive capacity by our use of pesticides, created dangerous obstacles for birds such as communications towers and high rise buildings, not to mention the potential impact of climate change. Pointing to the need to protect critically endangered Pine Rockland habitat is a key case in point: much of that habitat has already been degraded and more is slated for development due to the sale of the land. Please refrain from misleading the public, and encourage ZooMiami and the Parks Department to take action that will truly protect their valuable animal population. Continuing to use the cats as scapegoats while ignoring the scientific evidence is beneath them. We want to make the occasion special for all animal rescuers who share the same concerns about the feline community in South Florida and anywhere else. We will be raffling 5 Spay/Neuter certificates (tickets for the raffle are FREE!). We will ALL go home with a case of 24 portions of FREE Wellness moist cat food and we will have some goodies and soft drinks for all attendees to enjoy. Please mark your calendar and do not miss this special and unique celebration, have fun, learn more about rescuing from our guest speaker, eat, drink, see and meet friends, take home a case of cat food and, if you are lucky, you will be the winner of a free spay/neuter certificate with a value of $30.00. Who could ask for more???? We look forward to seeing you there celebrating together this great event!! 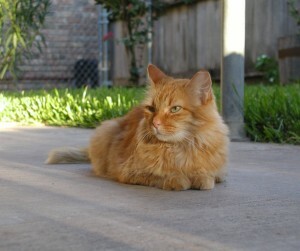 A cat was found in Hollywood, Floirda (near 441 & Garfield) with a very tight rope tied around his neck. If you have information on who may be responsible for doing this, please contact Undercats4Life at fixflorida@undercats4life.org or call 954-856-4007 or 754-235-1303. For more information, visit http://www.sun-sentinel.com/local/broward/davie/fl-hollywood-cat-abuse-20150206-story.html. 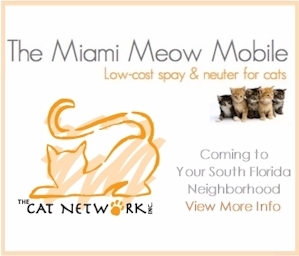 The Miami Meow Mobile low cost spay and neuter van is coming to YOUR SOUTH FLORIDA NEIGHBORHOOD this January. The Miami Meow Mobile provides low cost spay & neuter surgeries, vaccinations, and basic wellness care to cats and kittens in Miami-Dade county. It is a fully equipped surgery center on wheels, ready to provide the safest possible sterilization procedures for our feline friends. The clinic is owned and operated by The Cat Network, Inc., a 501(c)3 Florida not-for-profit corporation dedicated to humanely reducing cat overpopulation by educating the public about the need to sterilize their pets and strays; providing access to low-cost spay & neuter services for cats; helping members in their efforts to place adoptable cats in loving homes; and advocating non-lethal population control and humane public policy. For answers to Frequently Asked Questions pertaining to cat spay & neuter, appointments, trapping, and much more, visit our FAQ’s section. A reservation is required in advance to bring cats to the Meow Mobile. To make an appointment, view the schedule, and send us an e-mail or call (305) 233-9958. (E-mail for faster response). Shop For A Cause gives you the opportunity to help homeless cats & kittens and get a great shopping discount at Macy’s. Purchase a $5 Shopping Pass for exclusive savings (up to 25% off) in every Macy’s store and online at macys.com on Saturday, August 23th, and The Cat Network keeps 100% of the proceeds to help homeless cats & kittens. Plus, you can enter to win a $500 Macy’s Gift Card. Since 2006, Macy’s Shop For A Cause Event has partnered with non-profit organizations nationwide to raise more than $45 million for their ongoing charitable efforts. This is your chance to be part of this monumental event on Saturday, August 23, 2014. Purchase your shopping passes online now!